What is a back link? A backlink is a link that points from one website to another or if you prefer one unique domain to another. Don’t be fooled by people that say back links are not important because they are and they form the building blocks of all SEO campaigns. But remember not all back links are equal and not all back links are good. Some in fact can be incredibly harmful and have and adverse affect on your SEO rankings so be warned. Working out what are the best back links that should be pointing to your website is a challenge and forms a big chunk of the work we do. So let’s take a closer look at how all this works and to try to help you make some sense of it all. Why do Search Engines, Google in particular worry about Backlinks? The idea behind all search engines is to give users or their customers results based on performed searches with the most relevant website related to that search being displayed at the top of page 1 The next most relevant sites will come after that, so on and so forth. There are basically, thousands of algorithmic elements that when combined together come up with these results. Search engines will trawl the entire net looking for the most relevant sites, including yours and display the most apt site. In order for your website to be considered Google needs to audit your website and if all the elements are correct, including your back link profile, your site will rank. If you think about it and break it down to it’s most basic form, a back link referral from another site to your website is seem as a vote of confidence and the more trust your site has the more it will rank. This is why great back links from other high ranking trustworthy websites are perfect. Basically, it’s telling Google that we are happy to direct people from our site to another site. The aim of the game is to get as many of these in a wide and diverse manner if you are going to outperform your competition and rank higher than the others. So for example, if your website is travel related and you get a back link from an travel associations website in your related field, this is considered a sign of trust and therefore a good back link. Why you should be concerned about back links. > You get more leads coming to your website from other referral websites. This can produce some great sales leads if the user has being doing their research and found your site organically other than via a search engine. 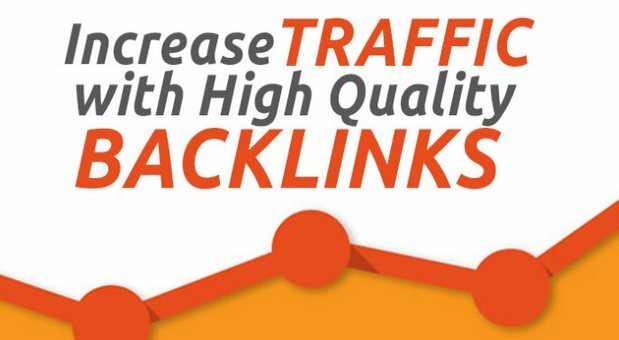 > Your brand and business becomes more exposed as the number of back links widen. Basically, you are on more sites and the likelihood of you getting noticed dramatically increases. > You can build good business relationships with other site owners through this interlinking. You never know where this may lead to. > Finally, you get a much better ranking on Google – a caveat here…this is where the linking process must be implemented properly and in a compliant non toxic manner. If your website is designed and built for customer conversions and you are going about your linking effectively then there is absolutely no reason why those eye balls coming to visit your site should not turn into great qualified leads. Remember the travel site mentioned before? Just imagine someone arrived at your website from another site through an extensive search. If you have what they are looking for then your chances of scoring a new client have just radically improved. To fully understand the back link process you need to look at it from a search engines perspective where it’s all about the quality of the referral. Ask yourself what’s better: 100 links from websites that are in your industry and are based in your country or 1000 links from various random sites that have nothing to do with your website and they are coming from all over the world. What do you think is more relevant? Obviously the former. Why? Because it’s all about the best and most relevant links. In fact too many links pointing to 1 page of your website can seem contrived and fraudulent by the search engines. It seems as though you you are trying to push a page too hard and game the system. So the takeaway from this is to have pristine, high quality links that are evenly spread throughout your site. That is pointing to all pages and not just 1 page. Most people think that you just need to optimise the home page, but this is a fallacy and will get your site eventually penalised by Google. Key point here is be as natural in your link building as possible. What is an example of a high Quality Backlink? At about this point you should really know the difference between a good and bad quality back link. To be frank Google has nailed it completely in the way the disseminate the good links from the bad. They can easily tell when someone is trying to over optimise a website by buying cheap, ineffective, poor quality leads in order to boost their rankings. So what is a great back link? > It should be from a relevant site, from within your industries niche. Anything that looks or smells fishy is probably a dodgy bad back link and should be deleted. >The link should be coming from a .com.au if your an Australian website. If it’s coming from the USA or UK it is not ideal unless it’s from your parent company and your an Australian subsidiary. >The link needs to be from an English site and not any other foreign language. >If the link is from an adult, gaming, payday loan or pharmaceutical website take cover as these are really bad referral sites, especially from the adult sites. You need to watch out for this as your competition may put your link on adults sites back to your site to harm you. we see this all the time and have to take steps to mitigate any damage that this may cause.s the referring website splattered with adverts? If so get your link off that page. It may look like you have have bought the link which is counter intuitive to organic SEO. >What is the anchor text of the link pointing towards your site? What does it say and is it relevant to the page it’s pointing to. If for example the page is all about plumbing supplies you would want the link name to be related to that word. Anything else would seem odd or out of place and therefore spammy. Where is the link on the page. Links placed at the top of the page are a real bonus and yield the highest authority as opposed to those on the side or at the footer of the page. >You need to look at the quality of the linking website. What page rank does it have and are there any other links on that site and where do they point to. This will take a fair amount on investigative work but it’s worth it. In some cases these links are staring right at you. Also are those other links going to sites in your industry or other niches. If so, why? Surely it should be all about your particular area of business. These might seem small nuances but believe me when I tell you that Google looks at all of these very closely. Once you have run through all of the above you can see if you want a link from that website. What initially might seem like an ideal link is in fact quite terrible. again, the aim here is to be the only link on the referring site and this site must be 100% top quality. anything sub par to this can and in most cases will put your site at risk. What are some types of links? Links can vary and they do fall into many different categories. Generally speaking the harder and more difficult it is to get the link from the website ( that is, everyone wants that referral but it’s almost impossible to get) the better it is. Let’s put it like this 1 super quality link is far better than 10 000 bad links. That’s how good Google is in determining link value. Some examples of easy to get yet quality back links are: Local directory entries like Yellow pages. They are super easy to get and are good for Google maps but because of it’s ease they will have little impact on your rankings. Other include: Industry forums and adding your opinion to blog posts. In your industry you are probably an expert and you can pass on this information freely on open blogs and forums with a link back to your site. This may bring a few interested parties to your site but for overall link quality this will do absolutely nothing. Think about it. Anyone can contribute and they probably do. So with all these links flying around on these forums why would Google place any value on these especially if spammers can get in there and place links ad hoc and en masse. The only advantage is that you are seen as part of a community and adding to it via sharing your thoughts and wisdom. You may even get a loyal following and a few new clients. But, don’t ever expect Google to reward you for this. Reaching out to other website owners to have a link on their website is a bit more difficult as getting them to accept this and do the actual linking work can be a task indeed. Therefore if you can get it done it will have some merit and push authority your way. Again, it must be industry related and yours should be one of a handful of out bound links. What you have to give the other website owner in return for this valuable link is your business and needs to be worked out between both parties.If your a supplier and they are a customer perhaps they get a 10% discount on your products for the life of the link.It could actually be that valuable. The best type of referring back link are from your industry peers and those that influence trends within your industry. People go to these websites as a source of credible information and for your websites link to be there is really valuable. In fact getting there has meant that you have had to have dome something really special or trend setting within your industry. This is the only way you could get there and it’s a real blessing for your business. These are PRIME links and these are what Google is looking for. Get enough of these and you will be well on your way to securing a top position. Bad back links are really easy to get.I bet I could go online now and get 100 000 of these in less than 5 minutes. The ease at which I can get these and the mere fact that they are assessable to anyone makes them really incredibly bad. I am however still amazed by the number of SEO agencies that rely on these toxic links as the cornerstone of their link building. Yes that’s right. They still fair and squarely believe that linking like this in the old fashioned way will be god for their clients. Be really careful if the SEO company your are interviewing mentions lots of back links as a good thing. This is termed black hat SEO and if you want to close down your online presence swiftly then you should go down this path. It’s generally offered by those SEO agencies promising great rankings yet all done on a tight budget. This is because they buy crap links that kill any hope you have of rankings. I see it daily and I get the phone calls from really upset business owners who have fallen victim to these SEO scammers. So what are some examples of the worst type of bad back links? >Paid SEO Directories – this is where yo pay to have your listing on a directory site. There are literally millions of these and any links on these are really bad. Stay well clear of these buggers. Some guys in fact will own perhaps hundreds of directory sites and offer a link on each one for a small fee. When you hear or see this run as fast as you can. > Private Blog Networks – these used to be really popular but again really terrible. This is when a website owner owns or has control over a number of websites or blogs and puts your link on each individual site. The issue here is that Google will know they are all owned by 1 person and it’s therefore seen as gaming the system or spammy activity. How? They probably come from all the same IP address. The issue here is that an incredible amount of effort can go into creating these private blog networks but to no effect. > Blog and Forum Links I have discussed this exhaustingly on many other blogs but if you or anyone else can place a link on another site in the hope of propping up rankings then this is a bad link. This like most outdated SEO techniques used to be the way to go, but alas it’s now outlawed by Google. Contributing to a blog can be OK if you are a serious writer with an opinion and something to say. But trying to place links willy nilly throughout a blog network in the hope Google will see this and reward you is simply foolish. Sure Google will see it but the ramifications are not what you would want. > Paid for Links are incredibly bad. If you have to pay for any link then consider this bad and the reason being is that it is in the public domain so anyone who is will ing to part with their money can also acquire these links making them virtually useless in pushing your websites authority. remember what I said earlier; the easier they are to attain, the less valuable they are in the eyes of the search engines. Some argue that the search engines are not sophisticated enough to determine what is and what’s not a paid link. But Google’s incredibly almost human like algorithm can somehow pick this and decipher the difference. OMG, they must have some smart engineers working over there. > Fake Online Business Profiles. There are heaps of websites that let you create an online profile of your business and allow you within that profile to add a link back to your site. This might seem harmless enough but many people feeling that this can somehow help with your Google rankings have signed up to countless directories and communities where you need to create a profile. Google is all over this and will not pass on any link juice or authority for any of these fake, over used profiles. If you intend to sign up and create a profile and you intend to contribute to that forum or blog, then that’s totally OK. You may even find that you get a few new clients if what you have to say is relevant to your field or business. > Article Submissions are a waste of time Article submissions purpose is purely there to hold millions of articles in various categories. People write these articles post it to the website with of course a back link to their website. The majority of articles on most of these sites are absolute crap and are only there to facilitate one thing; that individual back link. People have been posting thousands of articles with garbage for content thinking that the number of back links will help their cause in the rankings. A complete waste of time and effort. Those links have zero authority! > Sitewide Website Footer Links. Many web and SEO companies like to put their stamp on other websites they either design, build or do the SEO for. They generally put a link at the footer of the site and say something like: website designed by (your company name) or SEO by such and such… this is a bad practice if this link goes on all pages throughout the site as Google will find it very easy to spot this. This practice is still implemented by some SEO agencies that want quick wins with lots of links on a valuable site. Well, forget about doing this any more. Google will punish you hard for this type of practice. Those SEO agencies that still do this are practicing ‘black hat’ SEO and if your rankings have suffered recently then this could be part of the problem. Stay well clear of any internet marketing agency that has anything to do with these site wide links. There are some link building activities that are fine to do so long as you do not over do these. As I have tried to reiterate here in this article, the more natural your link building is and the more organic it is the better off you will be. Like with anything, do it in moderation and you should be fine. Any type of overkill will get your site penalised. Essentially, you have to forget about what the search engines are looking for and go about your link building in a natural manner. When you start looking around for cheap, quick, high volume links, this is when the problems arise. Following are some OK link practices. > Press Releases are fine If you have got something to announce to your customers a press release is fine. Perhaps in a local magazine or associations website will do very nicely. A link from one of these sites back to yours is completely kosher and will push some serious authority back to your site. Watch out for websites that say they are press release sites and will take and promote your press release for a fee. These sites are spammy and will do more harm than good. Why? Because they were over used in the past where every man and his dog was posting spammy irrelevant press release for the sake of a link. Today these sites are banned. > Guest Posting on a blog If you know on someone else’s website (in your country) that will allow you to write an intelligent, on topic blog and post it with a link back to your site as the author or guest blogger, that’s fine. Doing a couple of posts is fine, but you are treading a fine, risky line if you start doing this on heaps of other sites. This will look like you are trying too hard with this particular tactic and Google will no doubt pick up on this. The problem here is that people were writing low quality content and publishing it on websites they owned. Again, the rule of thumb here is moderation. > Reciprocal Linking is fine A reciprocal link is where you put your link of one website in exchange for a link back to their website. Doing this with a couple of websites and in some cases it’s necessary, so that’s totally fine. But, if you think you can do this x the hundred, all I can say is watch out. Reciprocal linking is ok if it’s implemented organically. Say an overseas company needs to link to it’s subsidiary in australia and vice versa. That is deemed natural and therefore OK.
What about Paid Links, are they OK to do? I have already discussed the fact that paid links are a bad idea but in some situations the case is not so clear cut so it does need a bit more explanation. Paying for a link in 99% of the time is not on. Most of the strong, trustworthy websites will be reluctant to sell links as it’s not part of their core business. This basically pigeon holes you to buy links from low quality sites which are on Googles radar. If however, you are buying a link to help your business as this is where you get customers from then 1 or 2 paid links is fine. I’m thinking sites like Yellow Pages here where you have to pay for a link. This and other high quality well known sites are fine for a paid link. Cheap, non relevant sites that tout their business online enticing your to pay for the link is a must avoid. Having said this, what ever you do, please don’t think you can now go around and sign up to 20 or even 30 of these authority sites. Being natural is the way to go so go sparingly and what ever you do spread it out over a period of time. A point to note is that these directory submissions or citations are good for Google maps. So, is Link Building enough to get better rankings and sales? In a perfect world this would be ideal. If you could simply rank a website and hey presto sales would start flying through the door then that would be great. Our job would be done. Unfortunately, SEO and ranking is really only half the battle in the digital space. The other half is all about the customers online experience and journey. It’s really all about customer conversions. Once they find your website what happens next is going to be the difference between success and failure. Similar to a bricks and mortar retail shop. Once the customer enters the front door they need be wowed by the experience. They need to be greeted by friendly staff and they need to find what they are looking for very easily. If the experience is lees than perfect they will simply exit the shop. Same goes for your website. It’s all about the consumers online journey and how they engage with your website. If they find it and love it then you are going to do really well online. All you have to do is look at all the major well known websites and see the effort that goes into creating website geared towards the consumer. What ever happens and what ever you do make sure you get your website professional designed by an agency that knows all about conversions rate optimisation and the user experience (UX). After all what the hell is the point of ranking a website if it’s no good and doesn’t work effectively. There are heaps of free online tools available (Ahrefs, Moz, and Majestic) which will let you do a complete audit of your back links. Whilst some links created today or recently may not show up immediately (they may take a few weeks or even months), these tool will allow you to see what links are pointing to your site. Once you have this information the next thing to do is trawl through the links and see what are good and what are bad based on the information provided in this article. If you can see any stand out toxic, harmful, web killing links make sure you get rid of them ASAP. If you are having issues deleting them then the next step is to go into your Google account and let Google know that you want these not to be counted as part of your link profile through the ‘disavow tool’. If this is too complicated for you make sure you get in touch with us on 02 9360 8514 and we will guide your through the process. Many people in the web and SEO game will swear by the fact that back linking is dead and is futile. These people who purport this are in total denial.They say this because they have no clue about link building and will therefore say and do anything to put this method down. This is harmful to naive business owners that fall for this bull as they themselves will suffer poor SEO rankings at the hands of these shonks and charlatans. Why? Because back linking is the ONLY WAY Google can recognise your site as trustworthy and it’s this trust that pushes you up the rankings. The fundamentals of all SEO campaigns is a combination of backlinks and great content – you cannot have one without the other – if you can do both professionally then Google will love your website. Matt Cutts from Google below will explain why linking is still vital BUT it is in conjunction with great well worded copy. In short, backlinking is here to stay and here for the long term. So, if you are serious about your Google rankings you better find and agency that knows the ins and outs about back linking. Also, what ever happens please do not attempt to do this on your own. I, unfortunately have seen the effects of do-it-yourself SEO attempts. Whilst people try this with the best intentions from the outset, the results in a majority of cases is horrific. No rankings and in some extreme cases website penalties. For more information on how to effectively implement an ethical SEO campaign please talk to us here at Hopping Mad Designs on 02 9360 8514.